All About Reading is a scripted, open-and-go program, developed for parents, teachers, and tutors who want to teach reading in the most effective way possible. 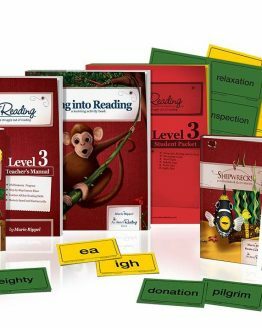 Please note: In addition to the Level 3 Materials, you will also need either the Basic or Deluxe Reading Interactive Kit. The Interactive Kit contains non-consumable items that are used throughout the entire All About Reading program. 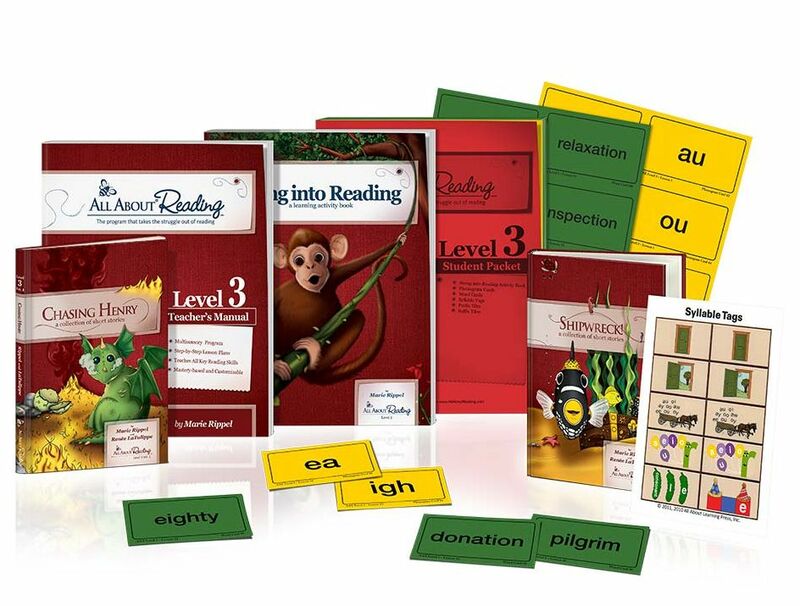 If you are already using All About Spelling , you can use the same Letter Tiles and Phonogram Sounds app, and will only need to add the Reading Divider Cards and Reading Review Box. Student pack, Readers, and teachers manuals can also be purchased separately. Please contact us for prices. Your student will learn exciting new concepts, including the jobs of Silent E, new phonograms, and methods for decoding multisyllable words – and continue to establish a firm foundation for a lifetime of learning. Every component of reading is taught: decoding (phonics and structural analysis), vocabulary, fluency, and comprehension. See samples of materials below. AAR Level 3 Colour Ed.